Save based on what you spend! Celebrate March Madness with this MAD offer! Full spa detail starting as low as $197.74 for Cayennes and Macans and only $147.97 for all other Porsche models. Includes interior carpet shampoo, interior wipe down, leather conditioner, windows cleaned inside and out, exterior wash, clay bar, wax, engine compartment cleaning. Plus taxes and applicable fees. Must present coupon at time of write-up. Cannot be combined with any other specials or offers. Valid only at Checkered Flag Porsche. Offer expires 4/30/19. 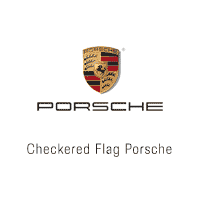 Military saves 10% at Checkered Flag Porsche. Maximum of $125 in savings. Excludes tires. Can't be combined with any other offers. See dealer for details.